DAYTONA BEACH, Fla. (AP) — Love of water has been a common bond in Harry and Artis Price’s lives from the day they first met on a diving board more than 50 years ago. The Prices of DeLeon Springs — Harry, 85, and Artis, 82 — have competed in more national water ski competitions than any other man or woman, according to USA Water Ski. That’s 53 national competitions for Harry and 52 for Artis. They both again broke records and won titles recently in various events in their age division at the national championships in West Palm Beach. Their love story began when he was giving diving instructions in Illinois and was asked to give lessons to an English teacher. She wanted to teach high school swimming because she had been on the swim team at Purdue University when in college but didn’t know how to dive. “Don’t saddle me with some old English teacher,” Price recalls saying. “He tried not to meet me,” she joked. “I didn’t tell her for years that ‘I’m the guy who refused to teach you,’” he said, laughing. But before they married 54 years ago, Price, now a retired physician, taught his wife to water ski, and it has been a combined passion ever since. Together, they have won more than 130 national gold medals since the 1960s. At their home in DeLeon Springs, a glass cabinet displays more than 50 of their trophies and plaques and a wall in their home has many of their medals. Other awards and medals have been donated to the American Water Ski Educational Foundation Hall of Fame and Museum in Polk City. The couple practice during the winter months every other day on Lake Caraway, where they live, as they prepare for the spring season. They also cross train on equipment twice a week at Green Acres, a sports medicine facility in Daytona Beach. 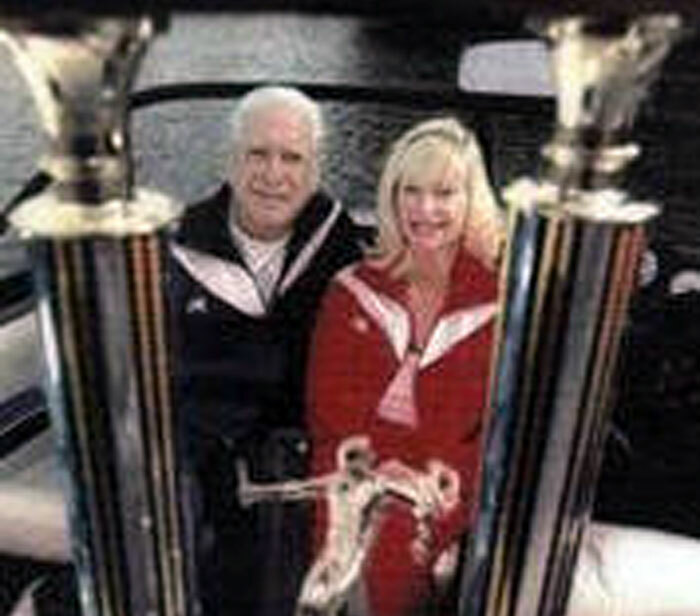 They are both Award of Distinction recipients, which are on display at the American Water Ski Educational Foundation Hall of Fame and Museum, for “extraordinary contributions” to the sport. Atkinson said the Prices were the oldest individuals competing in the nationals this year.